Wow! What a great experience in London today. 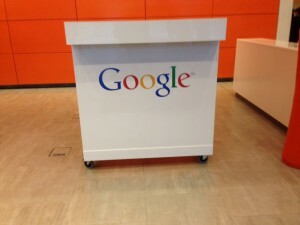 I was very honoured to be invited to Google HQ in London for the Periscopix event. Pay Per Click and Google Analytics were the order of the day, but it did have some other great benefits for us marketing types too. Google is at the forefront of development and anything they do seems to be far removed from anything marketers and searchers ever dreamed possible. We talked Google Glass (of course) and the ‘morels’ of data that we all leave behind everyday that’s accessible to businesses to use to market to. We were also introduced to an exciting product called which actively records your heart rate and other key components from your body and uploads the data. The idea came from a designer who asked if all the hospital equipment was linked… it isn’t! This product collects data and uploads it to a database. This data is then used intelligently to test and give responsive data to the user – key for diagnosis in the future I’m sure. Google also spoke about Nike and their Fuel Band which tracks exercises like running or cycling. The key to the product being that it links to an Android or iOS app and records all the data and sends it to Nike. What’s the benefit? The user gets great results and data and so do Nike. Nike know what equipment the user has, what trainers they run in and more importantly ‘when and where’. This allows targeted marketing that works and really gives Nike an easy sell with such amazing data. And that was the theme of the day. Using data wisely to target the exact people you want to market to. There was a great quote about data that I tweeted. And that’s just it. What’s the point of all this amazing data if you haven’t a clue how to use it? Today’s event focused on PPC and Google Analytics, the data they generate, and the data you can use to drill down and use to find your audience. One of the most exciting updates is Universal Analytics. We’re now able to target demographics and locations like never before. 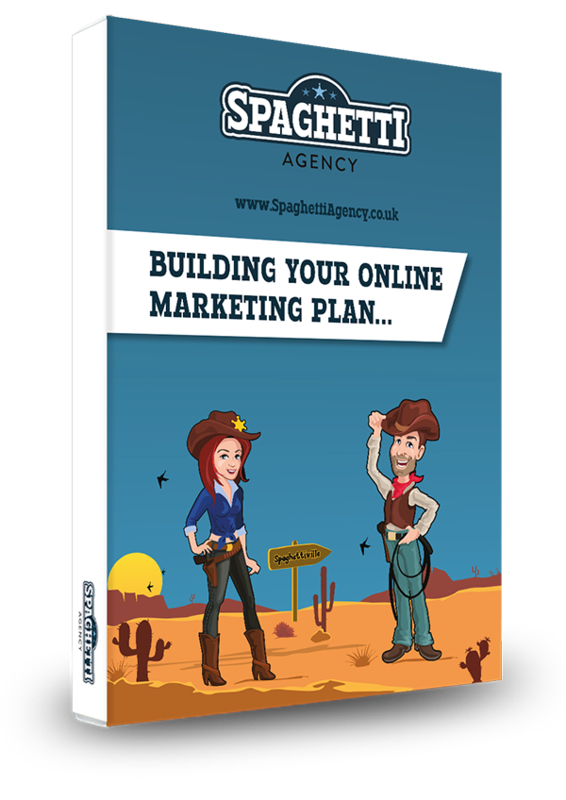 If you know your target audience and you have a pretty good idea where they hang out online then you can market and re-market to them. Of course you need a really good understanding of your target – and some serious Google skills too! One area that is really exciting is the display ads. Formally not really a viable option for a small campaign or for high Click Through Rates, it seem that they now perform better and you’re really able to target your customer. If you have an informed idea where they are elsewhere online, and which websites they might visit, then you can market to them with specific ads. Another really important take-away from today was testing. Everyone there was an expert in their field but they still tested everything – and more importantly they learnt from it. Marketing is all about A-B testing, and Adwords and search marketing is no different. The data you can gain from your Analytics and ad campaigns can really help you understand your online audience and what they are looking for. Testing different ads and different approaches gives you relevant data and data you can use to move forward with. Another key area for me was the importance of a business’s knowledge of their target audience. As someone who works with clients on PPC, I understand how difficult it can be to gain a real plan without knowing who their customer is, what they look like, where they go and what they do. Using this information first and then gaining informed data from testing different approaches is key to a successful campaign… or you’re just driving blind. 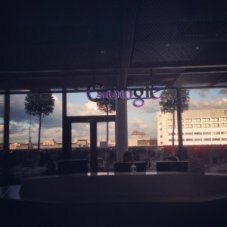 I certainly enjoyed my visit to the big smoke today and as an avid Google fan I thoroughly enjoyed the trip to Google HQ. 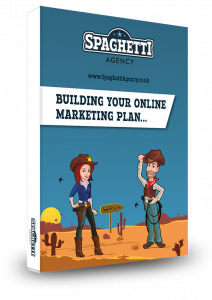 I really do buy into the help, advice and support Google offer and having spent many hours on the phone to Adwords support feel very much part of the plan – that’s a powerful thing to achieve! Many thanks to the fabulous Bobby and Maria at the equally fabulous Wine Box Company for the invite! 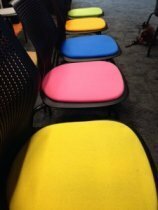 I’m now off to buy some cool chairs like these… who’s with me? !